Todays Expanded Practice was a workshop, exploring products and examining how sustainable they were. 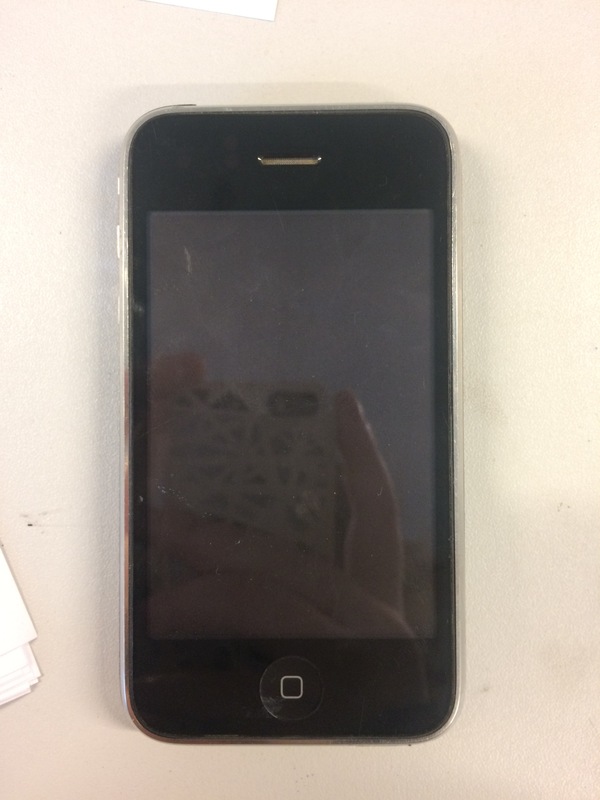 My group were given an iPhone 3G. We answered questions that helped us understand and research into this product as much as possible. This resulted us in coming up with a quick summary of the iPhone and how people interacted with this object. Our summary reads: This object is used all the time by ordinary people. Without it we panic. It’s your best friend. When broken we are upset but quick to buy a new one and throw the old one in the drawer as a spare. This is an interesting concept. We become so connected and obsessed with our phones, (they really are everything to us) but as they start to break we resent them instantly, expecting them to work all the time with no faults. Then they completely break and we still feel some attachment to them so put them away in a draw and buy a new one instantly. My opinion is we are obsessed with connectivity more than the object itself. But then a whole other question is asked about why we are so connected to Apple as a brand. I have an iPhone and when my phone breaks I know I will buy another iPhone and not even think about buying a different brand. So why are we so loyal to Apple? Another exercise we did today was to make the iPhone more sustainable. We mapped the product timeline out and then re-modelled it to a cyclical structure. Apple re-sell working old phones as temporary phones e.g. holiday phone being sold at airports so you save money on roaming charges. Re-sell the old phones to the homeless or poor who are unable to keep in contact with their loved ones. Break the old phone to raw materials and sell those raw materials onto other companies who use them e.g. electrical companies. Build you own iPhone and buy replacement parts online. So you understand how your phone works and can fix it instead of throwing it away and buying a new one. What did you find most interesting about this workshop? I really enjoyed being critical of a popular brand and being able to take it a part as a product. It really opened my eyes to Apple as a brand and wether they were sustainable. Sustainability and Apple aren’t things that go together automatically for me and after this workshop my opinion hasn’t changed. What did you find most difficult and challenging in the workshop? Researching some of the questions was tricky as Apple seemed to give us no information about the process of making an iPhone never mind any toxic chemicals used or how sustainable their factories were. Did you find it useful working with objects? I liked to see the object in front of me and to touch it. It made me understand peoples emotions towards the product. Do you think this workshop helped you to understand the speed of materials, production, use and recovery in order to help you design with a better approach to sustainable design? Yes, it helped me to research the product thoroughly and think about it differently. And then take that information and re-model parts to improve the product.